I don’t know why it surprised me every time a couple would respond and share their story with me but Ketubah.com’s customers never cease to amaze me. Sharing their unique stories and creativity I couldn’t fit it all in to just one post! 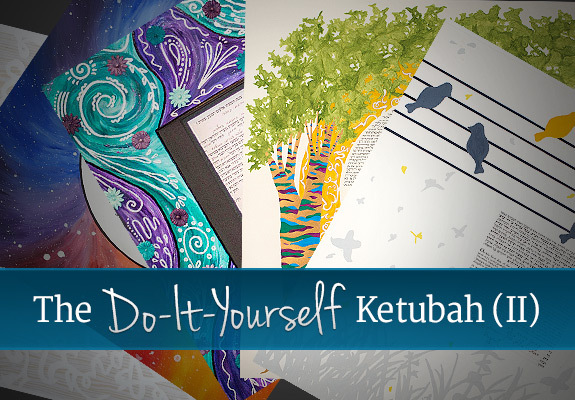 I am so excited to share the 2nd installment of the DIY Ketubah. 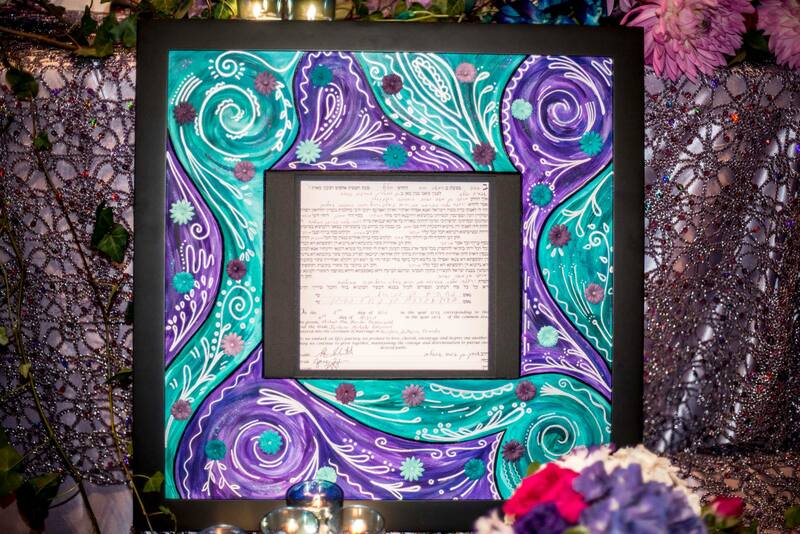 Gail and Julio chose the DIY ketubah so that they could add to it every year of their marriage. “We agreed that we wanted to read it together every anniversary and add some artwork of our own to remember something from that year, each year. 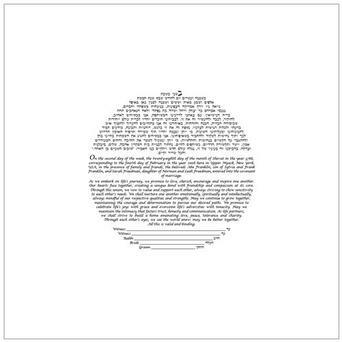 So for the moment our ketubah is blank, but come August we’ll try to remember what we’ve been through together and add that to our ketubah.” They appreciated that Ketubah.com had so many options for just a simple, white ketubah; square, vertical, horizontal, circle, and more. 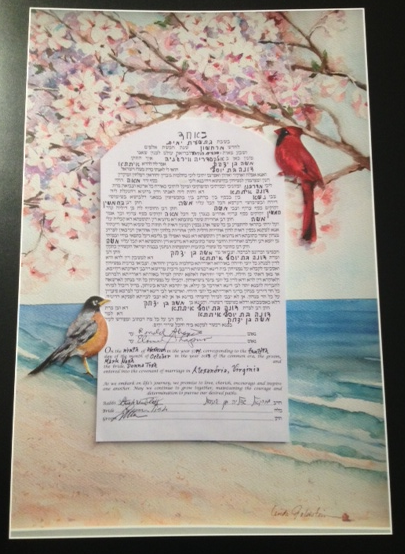 Linda made this DIY ketubah for her sister and brother-in-law. Rather than risk ruining the paper she cut out the wording and painted a watercolor painting of cherry blossoms and the beach on a sheet of Arches 150wt watercolor paper. Jordana ordered a DIY Ketubah for her sister, an artist in Calgary, to paint, but the way they did it was very different!